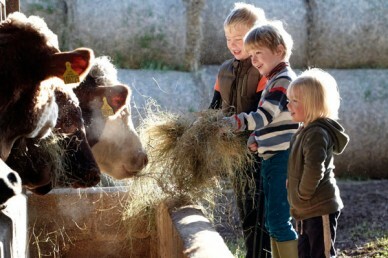 Home » » News » Learn about food, farming and the environment at an Open Farm Sunday event near you. Learn about food, farming and the environment at an Open Farm Sunday event near you. 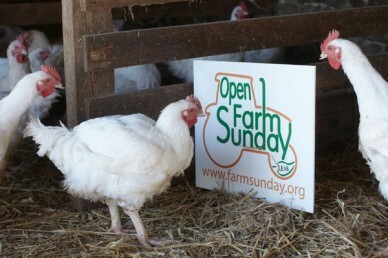 This Sunday, 9th June 2013, sees farms across the country open to the public for Open Farm Sunday. Now in its eighth year the event, which was the brainchild of Ian Pigott a Hertfordshire LEAF Demonstration farmer, aims to bring a wider understanding of farming, the environment and food production to the public. There are hundreds of farms of different sizes and types taking part across the country so you will almost certainly have one near you. Those taking part range from smallholdings and city farms to large commercial enterprises and each offer differing levels of participation. You can find your nearest farm by using the search here and this will also tell you how you can get involved with an easy to follow key. Depending on the location there could be guided tours, walks, machinery displays, trailer rides and the chance to meet the farm animals. There is also an annual pollinator survey that you can take part in at selected farms that helps to plot the spread of vitally important insects that work so hard in the background to help your food grow. There is so much to learn about how our food is produced so go along on Sunday for a chance to talk to the people making it happen from farmers to vets and other agricultural specialists. If you would like to arrange a visit for your school there are also special hosting events between the 3-14th June and if you can’t make it to and Open Farm Sunday event there are LEAF (Linking Environment and Farming) farms nationwide that you can arrange to visit throughout the year. If you have a farm or smallholding and would like to take part this year time is short but you can still register your event online. 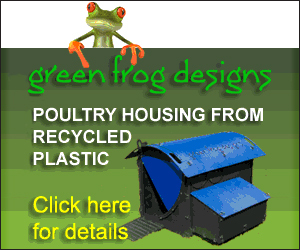 There are a few things to bear in mind but everything is explained on the website.